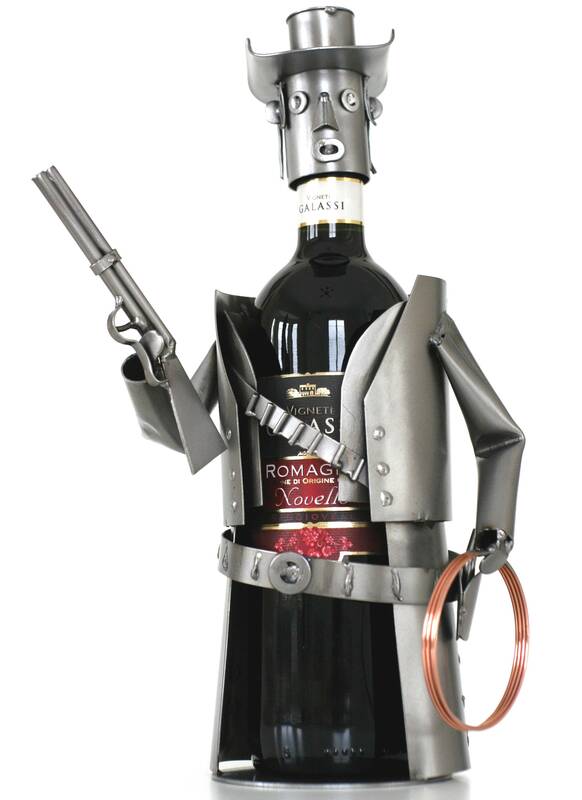 A cowboy wine caddy sculpture. It reminds every wine lover of Wild West times. It is a unique caddy sculpture that will make it look more attractive. Our caddy sculpture is a funny decoration for every bar and a great present for wine lovers.